Amazon&apos;s Kindle 2 takes shape, due on Feb 9? 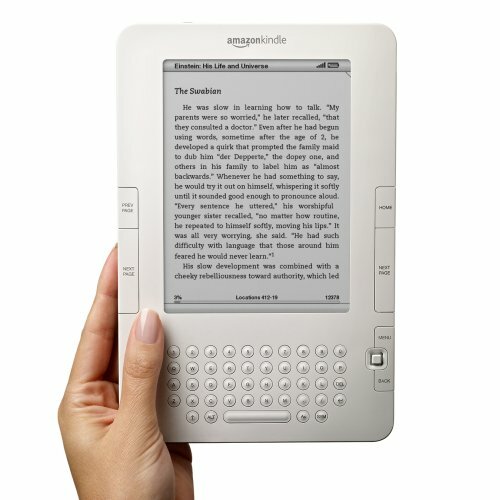 Amazon’s Kindle e-book reader, despite its low specs, has proved a hit with consumers, particularly after Oprah Winfrey featured it on her show in November. Since then, it’s been consistently sold out, and Amazon’s product page, for a long time, has shown a wait of 11-13 weeks for the device. Well, last night that was changed to show 4-6 weeks, and Amazon has invited journalists to an event in New York on February 9th with the Founder and CEO, Jeff Bezos, present. 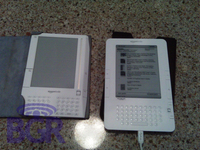 Leaked photos suggest that the old angular look is gone, and the new Kindle will be more rounded. It’ll also feature a much-updated e-ink display with a faster screen refresh time. If it replicates the success of the original, then we might even see it this side of the Atlantic. We can only hope. 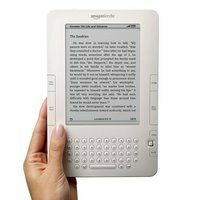 Related posts: Amazon with more Kindles in the pipeline – definitely smaller, hopefully cheaper | Amazon Kindle spotted in the wild, being read by The Onion editor of all people! The good news is that the G2 seems to exist. I suppose someone could have installed Android on a random phone and added a Google logo to the back, but it seems like quite a lot of effort for a hoax. Unfortunately it matches the previous rumours in that it has no physical keyboard, relying instead on a stylus for input (eww). Back on the bright side, though, Google Reader, Notebook, and Docs are all present. I’d kill for a decent RSS reader that syncs with a desktop or web-based reader on a mobile phone. Lastly, at about 0:48, check out the awesome green android charger! Omg, how cute is that! 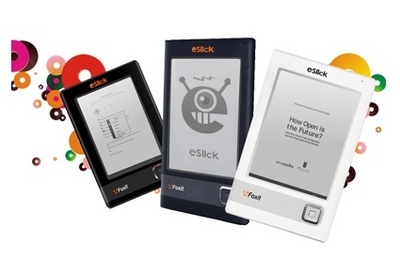 Foxit eSlick – the cheaper, lighter and not quite so good eBook reader. Have I sold it? eBook readers tend to divide opinion and divide it in a most disproportionate way. I like them but I think I’m in the minority. Fortunately, so does Foxit which is why they’re bringing out the Foxit eSlick – not the best name and perhaps not the best product either. 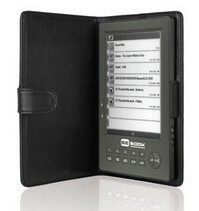 A new eBook reader has entered the UK market – the BeBook. Despite not being affiliated with the social networking site of the same name, it seems decent enough. There’s 512MB of flash memory (which should hold 1000 books or so) along with an SD card slot, a 6″ e-ink display, a 3.5mm headphone jack, and a battery life of ‘7,000 page turns’. The device will display pdf, mobi, lit, epub, html, doc, fb2, txt, ppt, prc, rtf, jpg, and mp3 files. It probably doesn’t need saying, but playing MP3s will eat up your battery life a lot quicker than just reading books and looking at documents. If you want one, then they’re available direct from the distributor, Widget, for £230. Your BeBook will come with 150 eBooks pre-installed, and you can buy or download more from various places across the net. 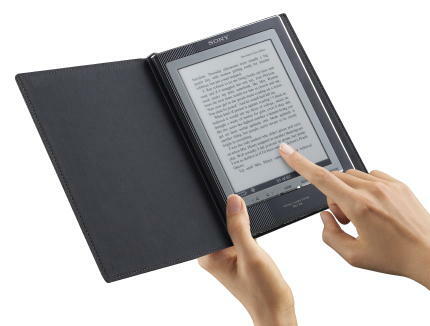 Sony has joined the “gadgets with touchscreens” fraternity for the third incarnation of its Reader, allowing users to flip between virtual pages by simply sliding their finger across the screen. We normally ignore most iPod dock releases here at Tech Digest. If we were to cover every single one, then you’d get three or four popping up each week. This one’s a bit different though. It integrates a 5-in-one card reader, and a USB hub. Much more useful….